Chaos In The Creative Space! The tower of boxes to the right hold an assortment of books, CD’s, DVD’s and assorted kitchen paraphernalia and other unrequired items waiting to go somewhere else ……..All been sitting here since the big kitchen clean up about three months ago ….. 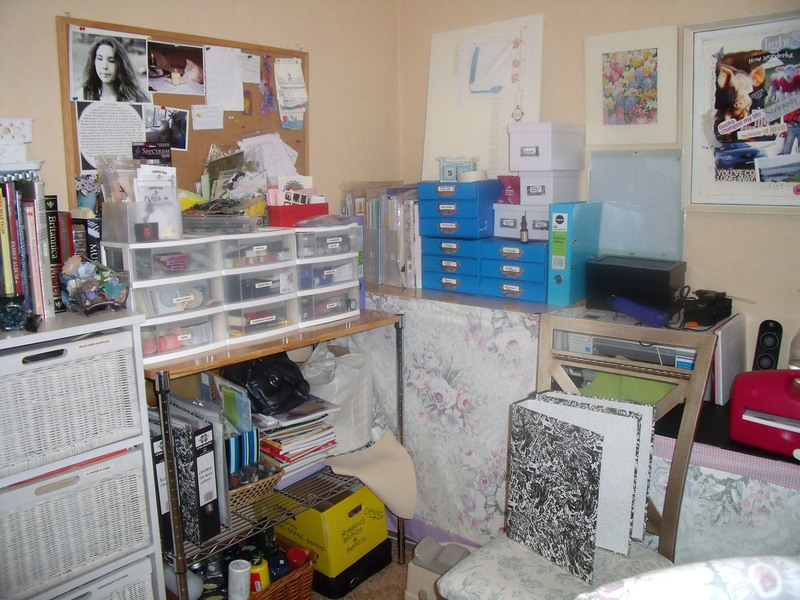 The Desk – it’s here somewhere …..
….ah, yes, you see – there’s about 10 square centimetres of working space left…..
See those empty file folders on the chair [Orlando’s Chair!] 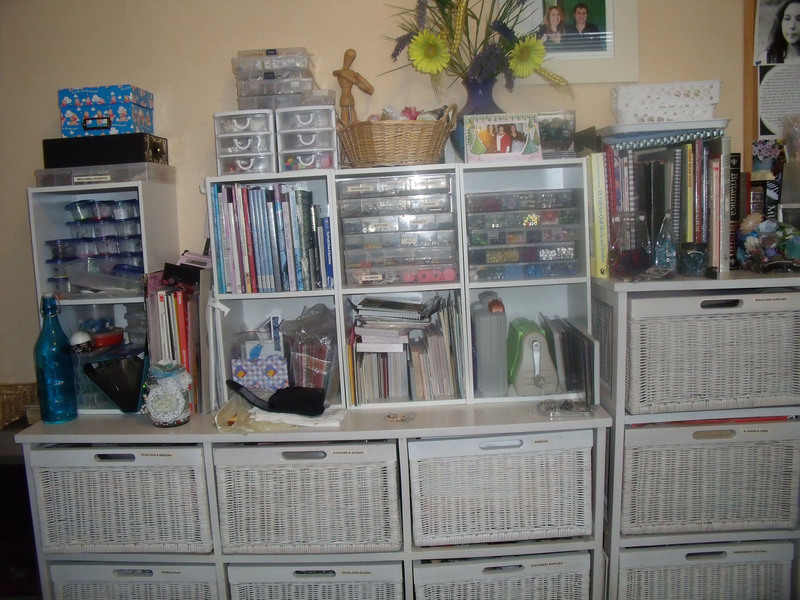 they have been there for about three weeks, waiting to be utilised as stamp and die storage – see the files on the shelf to the left – bulging and overstuffed [folders and shelves] and there’s no room for more folders ……. and the boxes on the floor with all the art supplies higgledy-piggedly. It all needs a good sort out! No room for Orlando either – no wonder he’s cross with me! 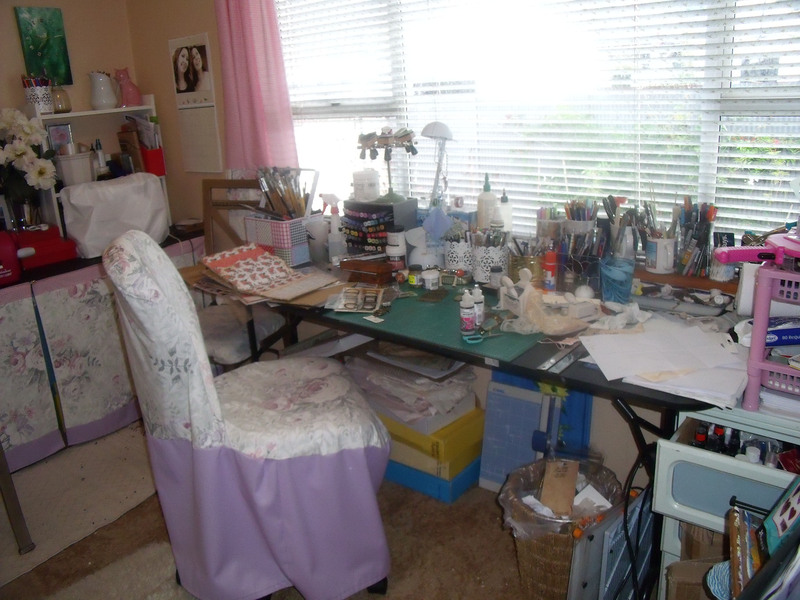 So the rest of today will may be spent cleaning this up – I really need to make more working space – but there’s a big pile of ironing and the whole house needs a vacuum …..
I’ve been spending way too much time reading blog posts and not nearly enough time on my own life! Hope that made your day Casey – feel proud! Be well! This entry was posted in Introduction to Craftroom, Uncategorized and tagged Creative Play by thecontentedcrafter. Bookmark the permalink. 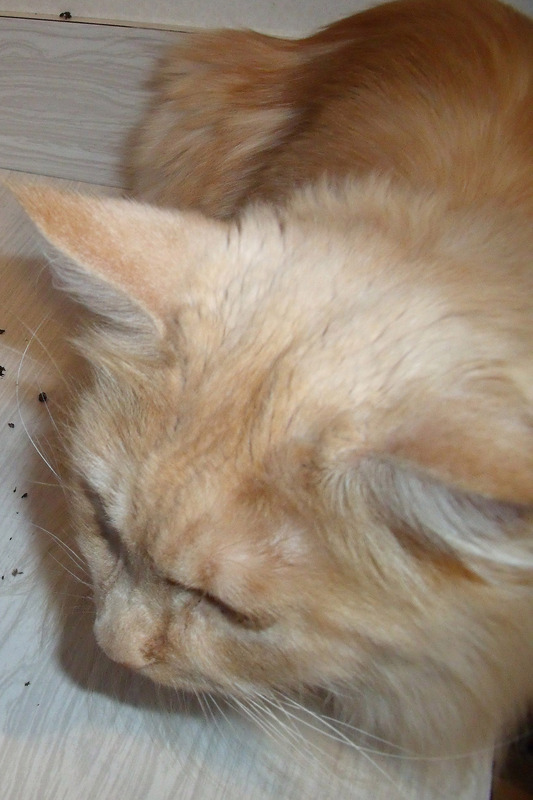 Ah – but you couldn’t really see the filth! Today it is clean and feels so much nicer, I’ll post some pics to see if you can spot the difference…. Loving your wonderful space. So bight and cheery. 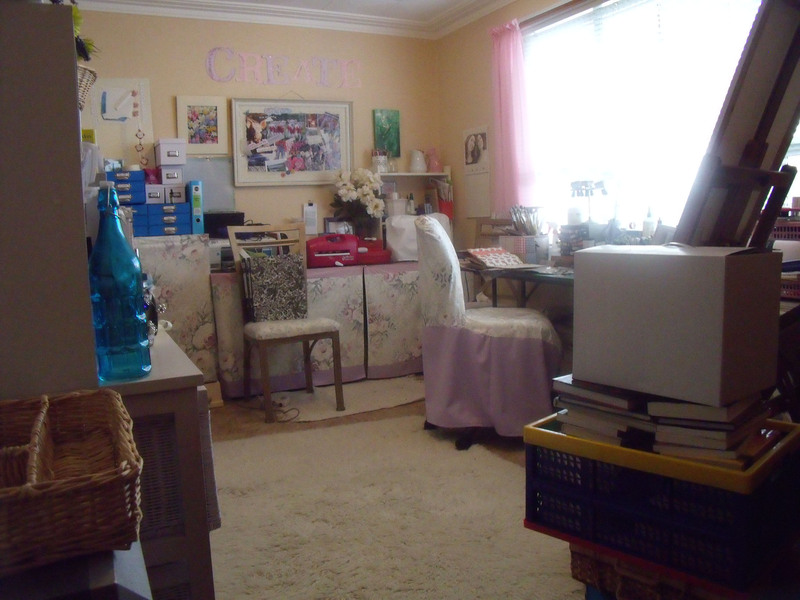 One of these days I’ll post a photo of my space post-creative. What a difference it will be….